Target CLAT, DU LLB, AILET, RULET, LAWCET & KLSAT etc. Law entrance exams (CLAT, LSAT, DU LLB entrance exam, AIBE, RULET, LAWCET, KLSAT, AILET etc.) are one of the most difficult entrance exams in India. Almost a million aspirants appear each year for various Law entrance exams in India. Competing for few thousand seats. Eventually, rendering Law entrance exams competitive and difficult to crack. Over the years, Law entrance exam patterns have had updated several times. As General Knowledge to Contemporary Laws syllabus is becoming more dynamic by the day. It is vital now for the aspirant to refer to the variety of sources during Law entrance preparation. 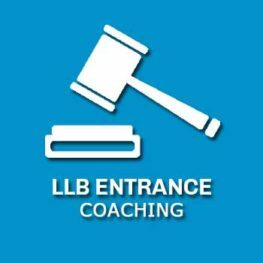 Multi-disciplinary preparation and expert guidance is the right approach to LLB entrance preparation. Learning Skills’ Law entrance exams coaching in Delhi designed in the same manner. We ensure that you get the best help and assistance. With top quality resources that enable and equip you to easily crack Law entrance exams. Still not decided, whether you want to enter law career or not? Then you should read this piece on Career in Law in India – Top Colleges, Scope, and Job Opportunities. How to Prepare for DU LLB Entrance Exam? Follow our page for LAW entrance notifications, updates, and lot more exciting and informative content on law topics. For more information, please contact our counselors at 8750081919 and 9999149355.